Planting windows are getting shorter, and seed costs aren't going down … so it's vital to make every seed count. SeedStar Mobile makes it a whole lot easier. 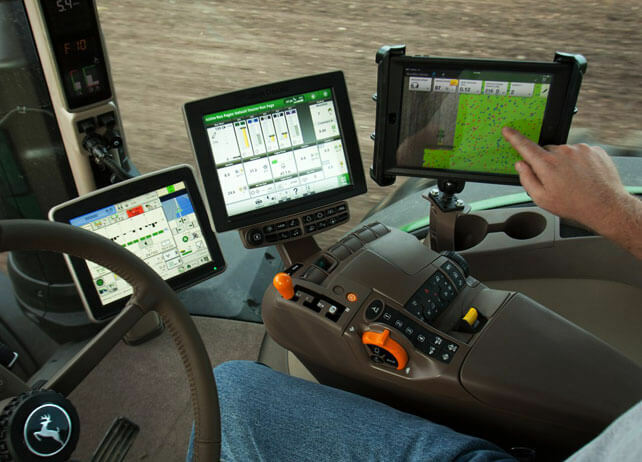 One glance from your tractor seat gives you a wealth of information on a row-by-row basis. You can see skips or doubles instantly. You'll know if one of your row units is wearing down or experiencing a problem. You can see fluctuations in singulation as they occur. And, most important, you'll have the information you need to correct these and other issues, quickly, which is a lot better than running 30 or 40 minutes and covering a big chunk of acreage before you notice something’s wrong, or jumping out of the cab and digging in the row to make sure everything is well. Customize the screen's dashboard to see the variables most important to you. You can choose from actual population, singulation, seed spacing COV, applied downforce, ride quality, gauge wheel margin, variety, and more. Get more out of your investment in seed and time. SeedStar Mobile makes it easy. See your dealer for details, today. See seeding fluctuations in real-time and be able to correct them quickly.